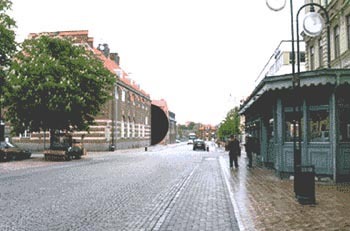 A blast from the past: proposal by Mikael Askergren (2004) for a warfare memorial in the former fortress and garrison town of Kristianstad, Sweden. 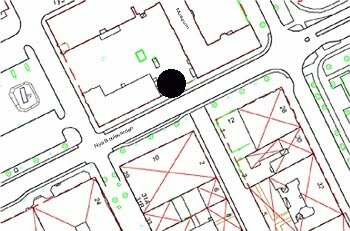 Footnote: the proposal above for a warfare memorial in the (former) fortress and garrison town of Kristianstad, Sweden was Mikael Askergren’s contribution to an urban sculpture competition in 2004. Mikael Askergren’s competition entry was rejected by the competition's jury. 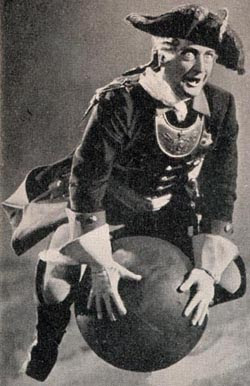 Footnote to image at top of blog entry: Hans Albers as Baron von Münchausen riding his famous cannonball in a German film (1943).